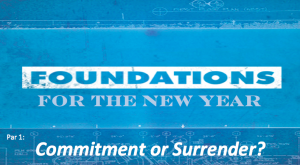 Foundations for the New Year: Commitment or Surrender? As we head out of 2017 and into 2018, it is a good time to be reminded of the basic truths of our faith. God has a plan for us and it is a good plan. How can I make the most of this year? How can I walk the way God wants me to? What should I focus on? 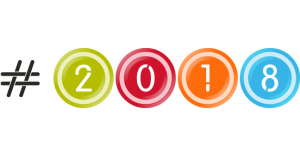 As we enter a New Year, we often think back on the previous year and then ahead to the coming year. It is a time for reflection, as well as a time for futre dreams. How can we experience the “life to the full” that Jesus tells us is available to us? Over the next 3 weeks we are going to lay some Biblical foundations that can propel us into 2018 with faith, hope and love! To prepare, read Jeremiah 29:11-13, Zechariah 4:6, and Matthew 16:24-26. We are currently on a Holiday break. This Sunday evening we will gather to celebrate the birth of Jesus Christ. We all have our Christmas memories, traditions, and desires… But we also know that much of what we experience has overshadowed to reason that we are celebrating. It is easy to get caught up in what the world wants to say about this night and miss what God says. Come to hear from Jesus, himself, why he came and why it is such good news! To prepare, read Luke 2:1-20. 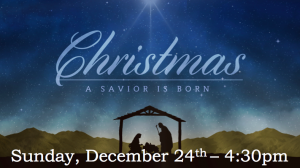 Our Christmas Eve service will start at 4:30 at the School of Rock. Since Christmas Eve is Sunday, we will not have a service this Sunday morning. 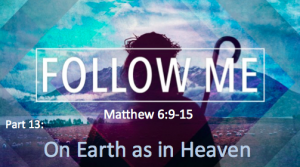 At the end of the Sermon on the Mount, Jesus sums up his teachings with some warnings and then a parable. Although his words may seem intolerant or narrow-minded or exclusive to many, they are, rather, the most important words we could ever hear. Because they are true and lead to life. As we conclude our series Follow Me we will look at the last part of the Sermon on the Mount. In his conclusion, Jesus makes it very clear that there is only one way to build a meaningful life. In a timeless message, he tells us we all build our lives on something. To prepare, read Matthew 7:13-29. I also want to remind you that we will have our Christmas Eve service next Sunday at 4:30 at the School of Rock. Since Christmas Eve is a Sunday, we will not have a service next Sunday morning. We’re all probably familiar with the Golden Rule. This is a very interesting statement by Jesus. It is an active way to express love. That is a very challenging and exciting prayer. As we enter the Christmas season, we are reminded that God invaded the earth when Jesus was born in Bethlehem. It doesn’t get a whole lot more radical than that! This Sunday we are going to look at an aspect of the Lord’s Prayer where Jesus tells us exactly what we should be doing and thinking about. To prepare, read Matthew 6:9-15. Join us on Tuesday night at 7:00-8:30pm at the Haupt’s house.